"Jarrod Bowen has been, for some, one of the surprise packages in the Championship... He's still the man to side with having bagged 21 goals this term and at 17/10 anytime still provides great value. He's scored in every one of Hull's last nine home league matches and bagged a brace in the last two, which makes Bowen to add two-or-more a play at 9/1." If you were to go back through my Championship previews this season, there is one bet that has come up trumps for us time and time again. The general rule of thumb is that when Hull City are playing at home, Jarrod Bowen scores and there are plenty of goals. You can generally add in a home win too as the Tigers are unbeaten in their last 10 games at the KCOM (W7, D3), and have only lost twice their since early September. Over 1.5 goals has landed in the last nine fixtures and over 2.5 in seven of those. Hull are unbeaten in five home league matches against Reading (W2, D3) since 1994. Bowen has been, for some, one of the surprise packages in the Championship. Fortunately, we latched on to him from the off, and before his price to score shortened. He's still the man to side with having bagged 21 goals this term and at 17/10 anytime still provides great value. He's scored in every one of Hull's last nine home league matches and bagged a brace in the last two, which makes Bowen to add two-or-more a play at 9/1. Add in Reading's dislike of winning away from home against any side apart from lowly Ipswich in their last 15 away trips in the Championship (W1, D7, L7) and there is even more fuel on the fire. 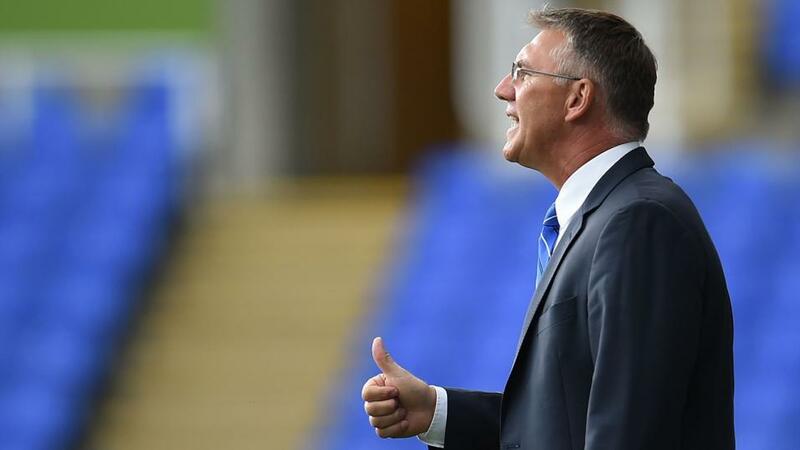 Nigel Adkins' Hull beat Ipswich 2-0 to keep their remote play-off hopes alive, whereas Reading lifted themselves four points clear of relegation with a 2-1 home win over Preston. But plenty more is needed from Reading and they have a tough set of fixtures to complete their campaign. Hull to win, Jarrod Bowen to score and over 2.5 match goals looks a cracking bet this weekend at 4.91. What has happened to Tony Pulis' Middlesbrough? Cemented in the top three in the league for the first half of the season, reliant on a rock solid defence, they have had a disastrous five-match losing run, which has seen them drop out of the play-off places. They are two points behind sixth-placed Aston Villa. Swansea had a great 3-0 win over Brentford this week, but they are 10 points shy of a play-off place. That was the Swans' first win in five, but their home form is strong and they are playing better than the Teessiders and have only been beaten once by Boro in seven games in all competitions. Middlesbrough haven't scored in their last three visits to the Liberty Stadium in all competitions. Swansea are the play in this one and provide great appeal having been unbeaten at home in six matches. In amongst that they pushed Manchester City all the way in the FA Cup. Winger Daniel James has impressed this season and has been involved in 11 goals in 32 appearances, with 10 strikes coming at home. James is 3/1 anytime, whereas the returning leading hitman Oliver McBurnie is 9/5. Middlesbrough haven't lost six consecutive league matches since November 2000, when they were in the Premier League, but that looks under serious threat on Saturday. Swansea to win at [2.48] looks the way in. Tractor Boys the value for the first time this season? With Bolton's finances, or lack of them, dominating the headlines all week, this match looked doomed to postponement. But it has been agreed that fans can enter to watch the match and it goes ahead, but the Trotters' mood must be pretty gloomy. The Bolton faithful are used to talk about going out of business as it's been a recurring theme for a few years. It can't make it easy for manager Phil Parkinson to motivate his troops to lift themselves up to bounce back yet again. Bolton did produce a morale boosting 2-1 away win over QPR and if everything else was equal, I'd be tipping them to beat a doomed and poor Ipswich side. Bolton are five points shy of safety, whereas Ipswich are rock bottom and eight points further back. Both teams will be relegated, but the big question is whether Bolton will still be in business for a League One campaign next season. The events off the pitch will impact upon performance and although Town are a shocking side this season, for one time only, I'm backing Ipswich to win this weekend at [3.1].